6926 Brockton Ave. Suite # 6 215 W. 4th St. Please remember that communication through this website or blog postings do not constitute a doctor-patient relationship. 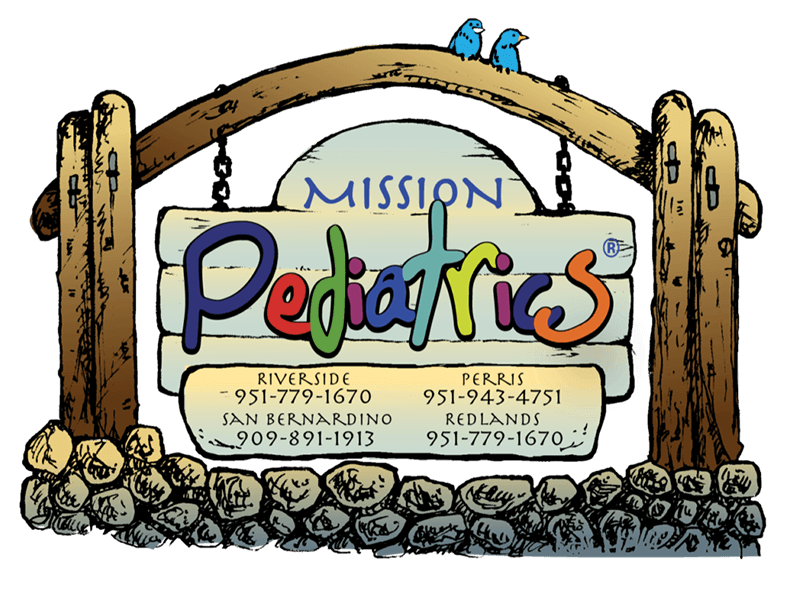 All scheduling is done through calling the office, beware of online scheduling sites, they are not endorsed by Mission Pediatrics.At Mission Pediatrics, we realize that you, as a parent, often want to use other means to talk to your doctor. We understand the importance of privacy and are committed to maintaining the confidentiality of your medical information. We make a record of the medical care we provide and may receive such records from others. We use these records to provide or enable other health care providers to provide quality medical care, to obtain payment for services provided to you as allowed by your health plan and to enable us to meet our professional and legal obligations to operate this medical practice properly. We are required by law to maintain the privacy of protected health information and to provide individuals with notice of our legal duties and privacy practices with respect to protected health information. This notice describes how we may use and disclose your medical information. It also describes your rights and our legal obligations with respect to your medical information. If you have any questions about this Notice, please contact our Privacy Officer listed above. Health Care Operations. We may use and disclose medical information about you to operate this medical practice. For example, we may use and disclose this information to review and improve the quality of care we provide, or the competence and qualifications of our professional staff. Or we may use and disclose this information to get your health plan to authorize services or referrals. We may also use and disclose this information as necessary for medical reviews, legal services and audits, including fraud and abuse detection and compliance programs and business planning and management. We may also share your medical information with our “business associates,” such as our billing service, that perform administrative services for us. We have a written contract with each of these business associates that contains terms requiring them to protect the confidentiality and security of your medical information. Although federal law does not protect health information which is disclosed to someone other than another healthcare provider, health plan, healthcare clearinghouse, or one of their business associates, California law prohibits all recipients of healthcare information from further disclosing it except as specifically required or permitted by law. We may also share your information with other health care providers, health care clearinghouses or health plans that have a relationship with you, when they request this information to help them with their quality assessment and improvement activities, their patient-safety activities, their population- based efforts to improve health or reduce health care costs, protocol development, case management or care coordination activities, their review of competence, qualifications and performance of health care professionals, their training programs, their accreditation, certification or licensing activities, their activities related to contracts of health insurance or health benefits, or their health care fraud and abuse detection and compliance efforts. We may also share medical information about you with the other health care providers, health care clearinghouses and health plans that participate with us in “organized health care arrangements” (OHCAs) for any of the OHCAs’ health care operations. OHCAs include hospitals, physician organizations, health plans, and other entities which collectively provide health care services. A listing of the OHCAs we participate in is available from the Privacy Official.